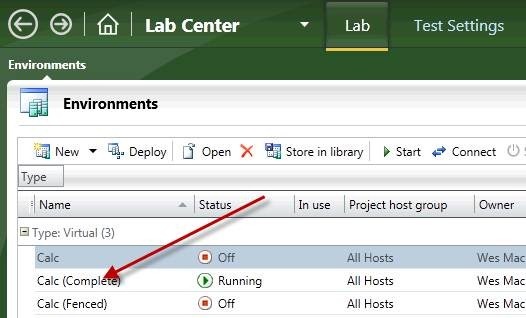 If an environment is created in Microsoft Test Manager (MTM) in Lab Center and the name contains a “,” the build controller is unable to find an enabled build agent. Once I renamed Calc (Fenced, Test) to Calc (Complete) the build was able to proceed. Do not bother trying to "Tag” the build agent to match the environment, you must delete the environment and recreate it. This time be careful not use use a “,” in the name.